It seems as though I have a lot of sunglasses, but of course there are pairs that I wear more often than others and this clubmaster style is one of them. I actually forgot I had these and then found them in amongst some others, and I've been wearing them a lot this summer. Adrian has even had a try of them too! I'm not even sure where I got these sunnies from, but I think they were fairly inexpensive, as most of my sunglasses tend to be! I always find they are too easily lost, dropped, sat on or damaged, especially if you attend gigs and festivals in the summertime, and as such I prefer to have pairs that I won't be overly devastated to lose! I have bought sunglasses from Primark in the past, which can be a great place to find cheaper ones, but the ones I've bought this year haven't been very comfortable! I'm not adverse to buying high street sunnies, though; Boots often have a really good range as do the usual suspects like Toppers and ASOS, which are still really affordable. The only thing to bear in mind when buying any kind of sunglasses is that they comply with safety standards and offer a categorised UV protection offering. The rule of thumb is that the darker the lens, the higher the category level, but always check the label to make sure as it's important to look after your eyes especially in the summer. 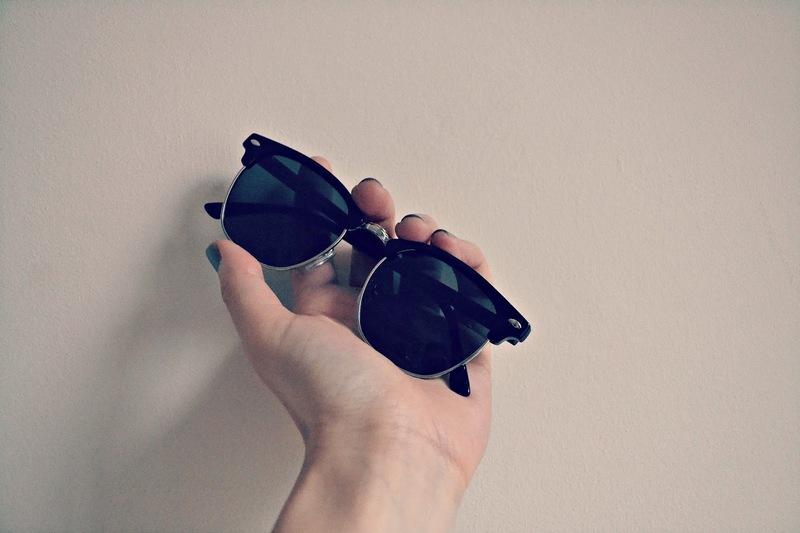 What is your favoured summer sunglasses style?